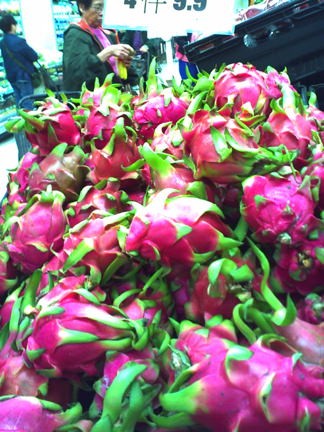 While shopping at the supermarket with my grandparents the other day, saw mount of dragonfruits! 4 for $9.90 HKD. That’s like 4 for around $1.30 CAD!! Me: I mean $4 Canadian, that’s like $28 here! So we’ve been eating lots of dragonfruits in the past few days. We still have one left I think. They’re delicious! 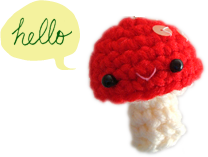 Delicately sweet with a consistency similar to that of strawberries. “Like strawberries with a bunch of kiwi seeds thrown in,” reports Mike. I like the way your grandma thinks! !